Remember the 80s? You will with the Totally 80s Poster. This like, totally awesome poster has an assortment of tapes in the background (no need for a pencil to wind them back), and bright colors announcing your event. 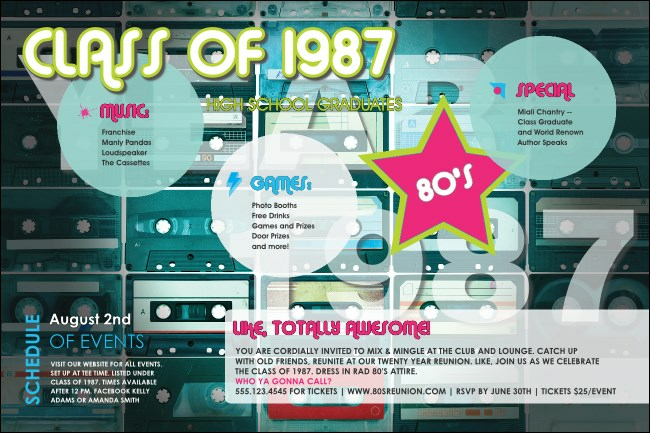 Perfect for your reunion, a fun prom, or any tubular 80s-themed party! TicketPrinting.com has the right poster for your big event.